One of Australia's most highly regarded media people looks back on her life through the prism of an intellectual journey and personal memoir. Looking back on a long and active life, Anne Deveson draws on a rich vein of public and private experiences to reflect on what made her the bold social commentator she became. Central among her lifelong preoccupations have been the questioning of war, and the promotion of peace. Deveson describes her childhood during the Second World War in Britain, which prompted her family's evacuation to Malaya just before invasion by the Japanese, and further evacuation to Australia as refugees in 1942. At the end of the war, they returned to a devastated London to find people lining the pavements begging for food and, during the coldest winter on record, sleeping in the streets. Returning to Australia in 1956, Deveson built a career (unusual in the 1960s for a young mother) as a provocative commentator on issues of social justice and equality, and, as a member of the groundbreaking and controversial Commission into Human Rights, she argued passionately for the disadvantaged. We share with her, through dramatic filming experiences in Africa, horror at the traumas of conflict and the need to understand its resolution. Deveson reflects on human yearning for a peaceful space in which ordinary family life may be lived - often taken for granted, too often lost. 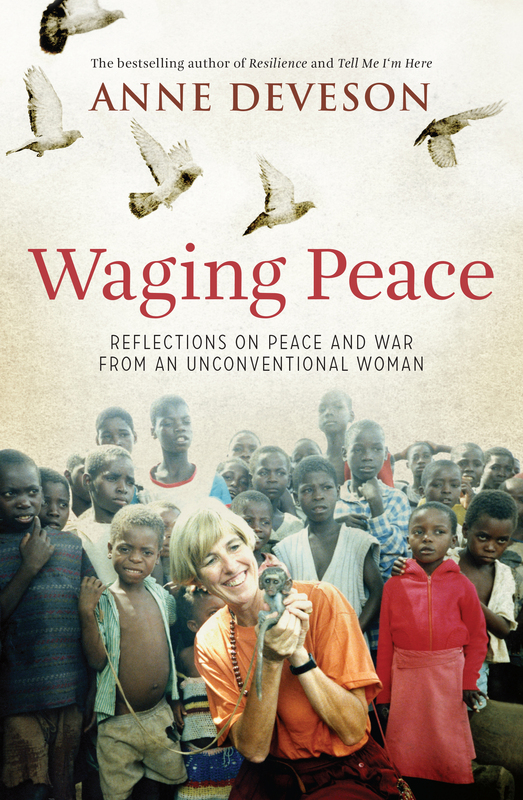 Deveson's unique voice, her humour and humility shine through this memoir of experiences and ideas. She argues persuasively that, were we to wage peace with all the resources and passion that we wage war, differences could be resolved, and peace restored. Anne Deveson spent her childhood in Malaya, Australia and England, but for most of her adult life she has lived in Sydney. A writer, documentary filmmaker and former head of the Australian Film, Television and Radio School, she has had a long involvement in social justice. Through her television and radio work, her books and articles and role with numerous organisations and boards, she has illuminated many social issues and influenced policy across a wide range. Her films have won three UN Peace awards and her books have been widely praised. They include the bestselling Tell Me I'm Here - about her son's struggles with schizophrenia - which won the 1992 Human Rights Award for nonfiction and was shortlisted in five major literary awards. Another bestseller, Resilience weaves together research and reflection into a thought-provoking intellectual and personal story. Anne was made an officer of the Order of Australia for her work in community health and for increasing the public awareness of schizophrenia.